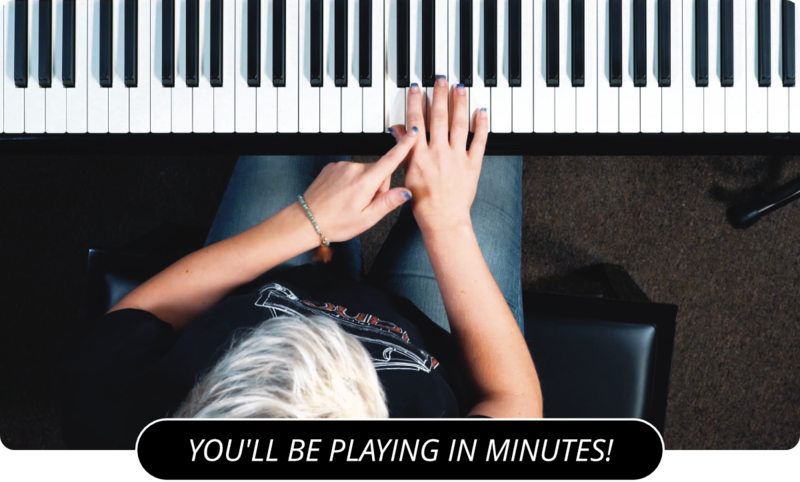 Learn How To Play The B Flat Blues Scale On Piano! The next scale lesson is the B Flat blues scale. Let's take a look at the notes that make up the scale. They are B flat, D flat, E flat, F, G flat, and back to the B flat. For your right hand, start the scale by hitting the B flat with your second finger. When your fourth finger hits the E flat key, cross your finger under and hit the E key then continue up the scale. On the way back down your thumb will reach the E key again and you will cross your fourth finger over to hit the E flat and continue down. The left hand starts on the fourth finger. With that finger, hit the B flat and work your way up the scale until your thumb lands on the E key. Cross your fourth finger over to hit the F and continue up the scale. Come back down, crossing your fourth finger back over the thumb when the thumb reaches the E again. Remember to practice the scales regularly. They are a big part of improvisation and soloing and should be practiced routinely. Also check out the B Blues PIano Scale if you haven't already. Once you learn all the blue scales, I recommend practicing the 12 Bar Blues on Piano .